This week the American Association of Critical-Care Nurses (AACN) is holding their annual conference, the National Teaching Institute – affectionately known as NTI. Oh, how I wish I could be in Denver this week, but it just wasn’t in the cards this year for me. There is nothing more inspiring than being surrounded by over 6000 nurses who are gathered to make themselves better so they can take care of their patients better. Just the gathering in that space is worth the admission. I remember my first NTI. It was in Orlando 2004. When I left, I felt like I could do anything! I had learned so much. Validated what I did know. Been inspired. Overwhelmed. I literally felt the power of nursing. If you have been to NTI or any large conference, you know what I am talking about. The energy is contagious. I used that inspiration to power me forward. A few short years later, I had the opportunity to speak at NTI. It certainly was a career high point. I am often told that these large conferences are not worth their time or money. I beg to differ. 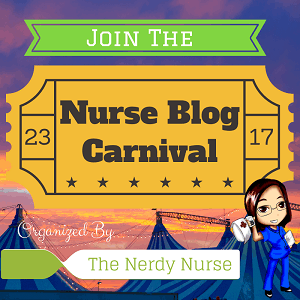 Here are my reasons why nurses should attend conferences.